This is a view of the Big Meadow in one direction. From where we were standing, we had a vast 360 degree view of acres and acres. 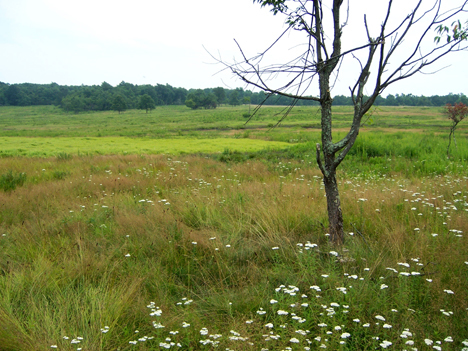 The geological history of the meadow is not clear, we were told at the ranger center. It had been there forever, according the the Indians who lived there when the area was settled by Europeans. I was told that there were something like 600 species of wildflowers growing there. I was in heaven in the midst of such natural vigor. ~ by Sandra Lynn Gray on September 6, 2007.